Weird Things » Blog Archive » UFO Photo Proof or Artful Home Furnishing? UFO Photo Proof or Artful Home Furnishing? 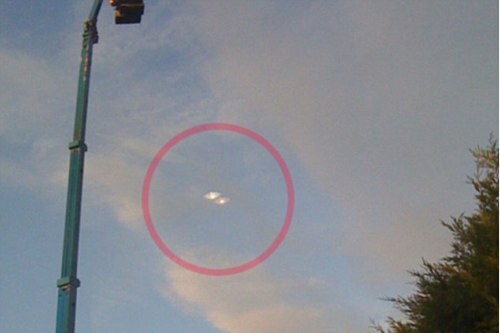 These pictures were allegedly taken in Kent, as it clearly shows, two UFOs flying in close formation against a blue sky. Or, as some of the readers in the comments at UFO Casebook point out, they are reflections of recessed lighting. Alien craft or tasteful interior illumination? You make the call!